S5850-32S2Q is a high performance Leaf switch to meet the next generation Metro, Data Center and Enterprise network requirements. It has 32-port 10Gb SFP+ and 2-port 40Gb QSFP+ in a compact 1RU form factor and it's a low latency L2/L3 Ethernet switch. 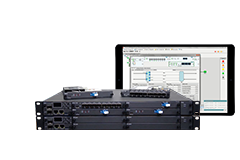 The S5850-32S2Q comes with the complete system software with comprehensive protocols and applications to facilitate the rapid service deployment and management for both traditional L2/L3 networks. 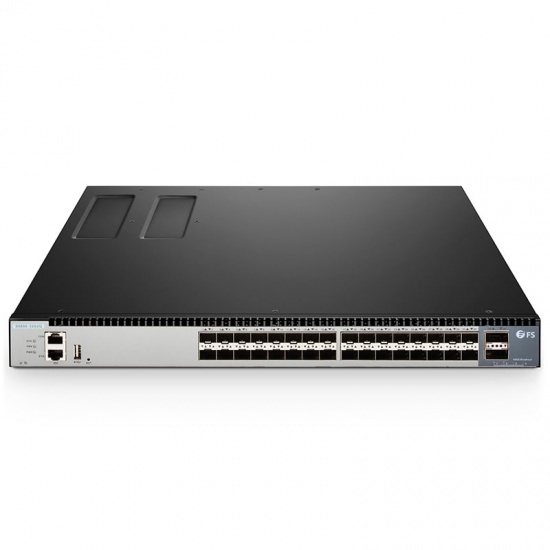 With support for advanced features, including MLAG, VXLAN, IPv4/IPv6, SFLOW, SNMP etc, this switch is ideal for traditional or fully virtualized data center. 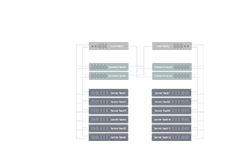 The S5850-32S2Q is cost-effective Ethernet aggregation and core layer to Data Center application and is ideally designed for demanding workloads. 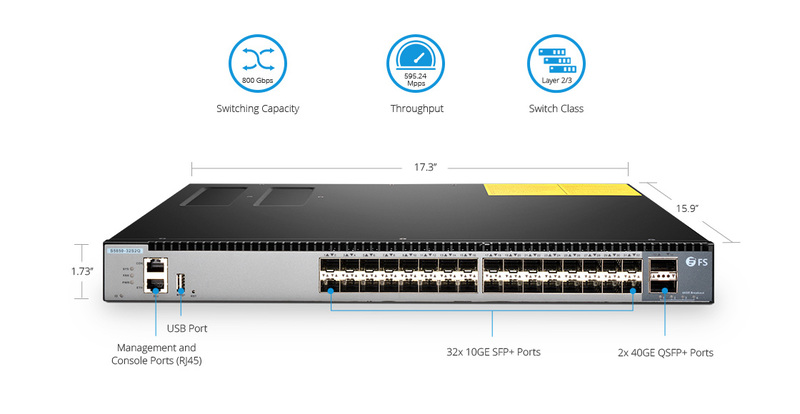 The S5850-32S2Q switch gives you choices that fit your budget and environment by offering 10 GbE ports supporting SFP+ and 40 GbE QSFP+ uplinks. 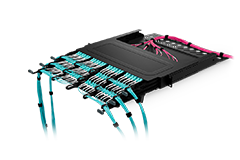 And it delivers up to 800 Gbps switching capacity for the most demanding applications. 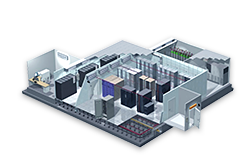 The S5850-32S2Q switch features hot-swappable power supplies and fan trays to provide a redundant, high availability architecture. 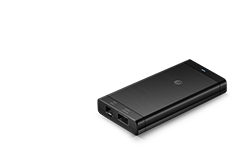 The S5850-32S2Q can be managed through command-line interface (CLI) which reduces training and operating costs. 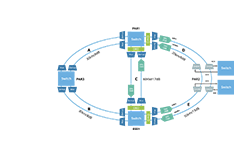 And it also supports Simple Network Management Protocol (SNMP) both from standard MIB for easy configuration, monitoring, and remote management. 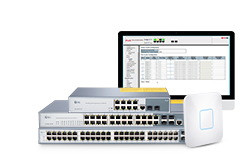 S5850-32S2Q switch is valid for the IETF RFC2544 standard, which provides to evaluate the performance of network devices. The throughput test determines how well suited a device is to applications in which minimal frame loss is critical. I always try to have an eye on the market and was surprised to hear from Joanna that FS.COM released switches, I was doubt about it and watched over them in secret for a long time. I tried to purchase one to test out, as I was guaranteed the Free Tech Support. I received it with suitable accessories. Met a question when I use it at the first time, but Joanna helped me solve it timely. Good service! Will review again after one month working. We've cooperated with Fiberstore for several years. Recently, we have a big project which needs about 8 units of switch. 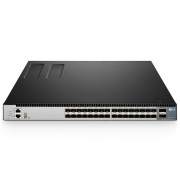 After searched on FS.COM website, I found S5850-32S2Q switch. We need one unite to have a test first, so I try to apply for a sample from our sales, finally it got approval. When I received this switch and apply to our equipment, I found it work very well. I decided to pay for this sample and placed a order for another 7 units S5850-32S2Q switch. Fiberstore is our reliable partner! I was a fan of Cisco switch before. I saw FS.COM's switches were with such competitive price, and I wondered whether the quality was not so good. My Account Manager told me I can tested it firstly within 30 days freely, if not good can sent back. I tried it, and so happy to saw it with good quality. Our engineer speak highly of it, and I decide to make payment this week. It isn't running a popular operating system like cisco or brocade, I'm afraid that it would be hard to find qualified people to maintain them and to provide support. But five-year warranty & free Tech Support let me trust them. Website is very easy to use. Got these for a project i was finishing. They worked perfectly together with my cisco switches. Delivery was on time as well! 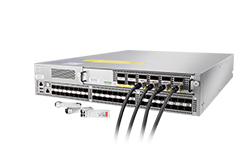 Switch is enterprise-class, it can fully meet the needs of convergence or access to the network, and also purchased the optical modules this time together, very strong compatibility. I purchased 2 S5850-32S2Q in our datacenter, so far it's working great. The hardware is high quality. I've downloaded the datasheet and installation guide from the website, it's easy to understand and the operating system is super easy. I compared the price of this switch on the market for several companies, and check all the details before i buy it. Finally i decided to buy it in FS because of the suitable price and nice after-sale service. The data center grade hardware design of this switch is so good. I have used it in my project for several weeks, and it works well until now. To be honest, the quality and service in FS is pretty trustworthy. And i will keep eyes on FS’s new products if they have. Here I come back to you with our feedback. I am happy with this type. When we did test and turned the switch on. It is very quiet to meet our Laboratory environment requirements. Love FS high performance products, will use more in my next Data center upgrade project.